William Morrow Paperbacks, 9780062412843, 288pp. HARLAN COBEN calls it "One of my all-time favorite series! ...David Handler is so good at writing one smart, funny page-turner after another that he makes it look easy." Fans of JANET EVANOVICH and CARL HIAASEN, get ready. If you haven't yet discovered wisecracking sleuth Stewart "Hoagy" Hoag and his faithful basset hound Lulu, you're in for a sharp, hilarious treat. Once upon a time, Hoagy had it all: a hugely successful debut novel, a gorgeous celebrity wife, the glamorous world of New York City at his feet. These days, he scrapes by as a celebrity ghostwriter. A celebrity ghostwriter who finds himself investigating murders more often than he'd like. And once upon a time, Richard Aintree was the most famous writer in America -- high school students across the country read his one and only novel, a modern classic on par with The Catcher in the Rye. But after his wife's death, Richard went into mourning... and then into hiding. No one has heard from him in twenty years. Until now. Richard Aintree — or someone pretending to be Richard Aintree — has at last reached out to his two estranged daughters. Monette is a lifestyle queen à la Martha Stewart whose empire is crumbling; and once upon a time, Reggie was the love of Hoagy's life. Both sisters have received mysterious typewritten letters from their father. Hoagy is already on the case, having been hired to ghostwrite a tell-all book about the troubled Aintree family. But no sooner does he set up shop in the pool house of Monette's Los Angeles mansion than murder strikes. With Lulu at his side — or more often cowering in his shadow — it's up to Hoagy to unravel the mystery, catch the killer, and pour himself that perfect single-malt Scotch... before it's too late. David Handler has written eleven novels about the witty and dapper celebrity ghostwriter Stewart Hoag and his faithful, neurotic basset hound, Lulu, including the Edgar- and American Mystery Award-winning The Man Who Would Be F. Scott Fitzgerald. 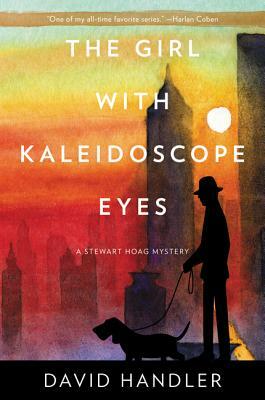 His other series include the Berger/Mitry franchise and two novels featuring private eye Benji Golden. David was a member of the original writing staff that created the Emmy Award-winning sitcom Kate and Allie, and has continued to write extensively for television and films on both coasts. He lives in a 200-year-old carriage house in Old Lyme, Connecticut.